Different types of oil rigs are designed to meet the specific needs of oil and gas companies that drill in difficult or challenging terrains. These rigs are designed to perform in unique conditions like shallow water, the deep depths of the ocean or areas with difficult weather conditions. Cameron is a leading company which has established its name in the oil parts and products industry. Those looking to pursue Cameron careers will benefit from knowing about the various types of offshore oil drilling rigs. Some oil rigs are built at the precise location where oil deposits are located. Another type of rig, known as a drillship, can be moved from one location to the current location. A submersible oil rig can be used in shallow water where the depth of water is about 80 feet or less. These rigs are towed to the location of the oil reserves and submerged in the water until the rigs lie on the ocean floor. Anchors are sometimes used to secure the position of the submersible rigs. Drillships are useful in undertaking drilling work even at significant depths. A drillship is a vessel that has been fitted with a drilling device and can propel itself to where the oil deposits are present. The drillship can also be constructed from an existing ship. Older drillships use anchors to maintain the ship’s position in the ocean. Newer drillships utilize computer-controlled thrusters to better control the position of the ship. The drillships that are controlled by computers can be used to navigate even in very deep water. Depending on their design, the semi-submersible oil rigs may be either self-propelled or towed to the location. Once the rig is in position, ballast is used to drown the rig into the depths of the ocean. The movement of a semi-submersible rig can be controlled with the help of computers on a modern or anchors in the case of older rigs. These rigs are built to withstand harsh weather conditions. Candidates who wish to pursue oil and gas careers in Cameron will benefit by having knowledge about the various types of oil rigs. Jack-up rigs are kept in position over the surface at the spot where the oil reserves are located. The jack-up rigs are maneuvered into position with the help of legs that are jacked down from the surface. These rigs can be used at depths of about 600 feet below the surface. The rig should rest about fifty feet above the surface of the water before the drilling work begins. Production platforms are constructed on the surface of the spot where oil or gas reserves are found. It is only when exploratory drilling at the spot reveals oil or gas reserves that these production platforms are constructed. These production platforms are permanent structures that cannot be moved once they are built. There are many types of drilling rigs that are designed to function in certain weather conditions or environments. 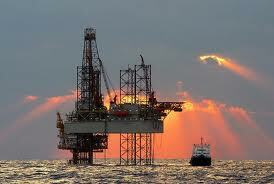 This article throws light on the various types of offshore oil drilling rigs.